Watsun Atkinsun's Illuminated Transformations Series. 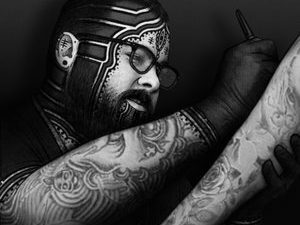 By creating imaginary bodysuits on photographs of beautiful people this tattoo artist envisions a more enlightened world. View some of his amazing creations in our Watsun Atkinsun Gallery and learn more about the man behind the vision.